IFP, Filmmaker’s publisher, announced this morning details of this year’s edition of its annual awards show, the Gotham Awards. The 2013 event will take place at Cipriani Wall Street in New York City on December 2, and will feature a number of changes. The most significant change is the addition of Best Actor and Actress categories, which are now in addition to awards for Breakthrough Actor and Best Ensemble. (The latter award, according to the press release, will now “be presented on occasion as a special award.”) Additionally, the Breakthrough Director award has this year be renamed in honor of Bingham Ray, the late producer who was a passionate champion of emerging filmmaking talent. This year there will no longer be an award for Best Film Not Playing at a Theater Near You, which Filmmaker and MoMA partnered with IFP to present, however there will continue to be a Best Film Not Playing film series at MoMA which the editorial staff of Filmmaker will curate with the staff of the museum’s film department. 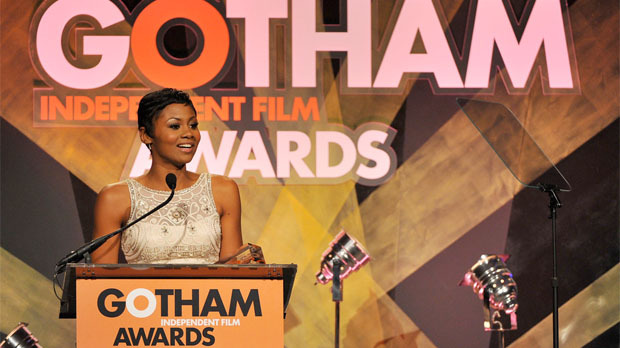 The deadline for submissions is September 20th, and the 2013 Gotham Award nominations are to be revealed on October 24th.